Yesterday is Mother’s Day! I got a discount card from Yellow Cab Pizza for FREE. 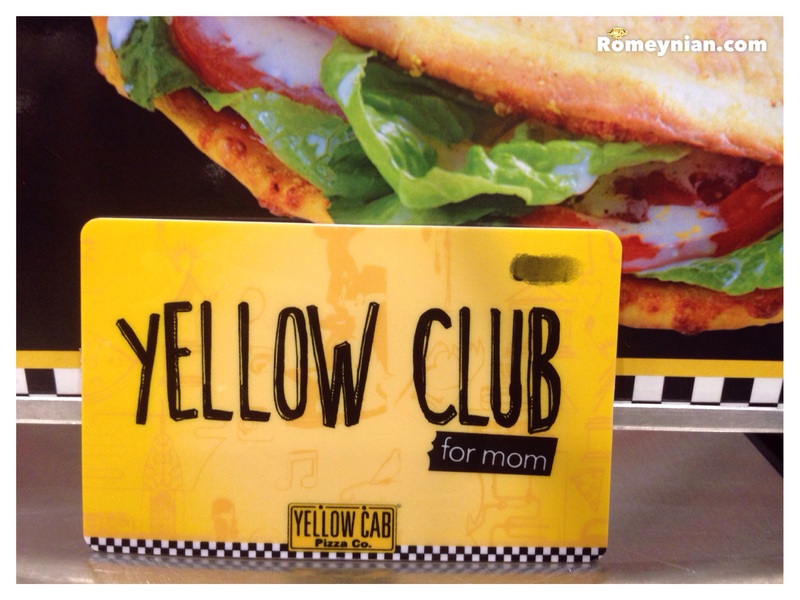 All I did was purchase some of their menu for take out and viola they gave the YELLOW CLUB FOR MOM card. It entitles the holder to a 10% discount for dine in, take out, or delivery purchase transaction only. It’s valid until December 31, 2015. Here’s the picture of the card. 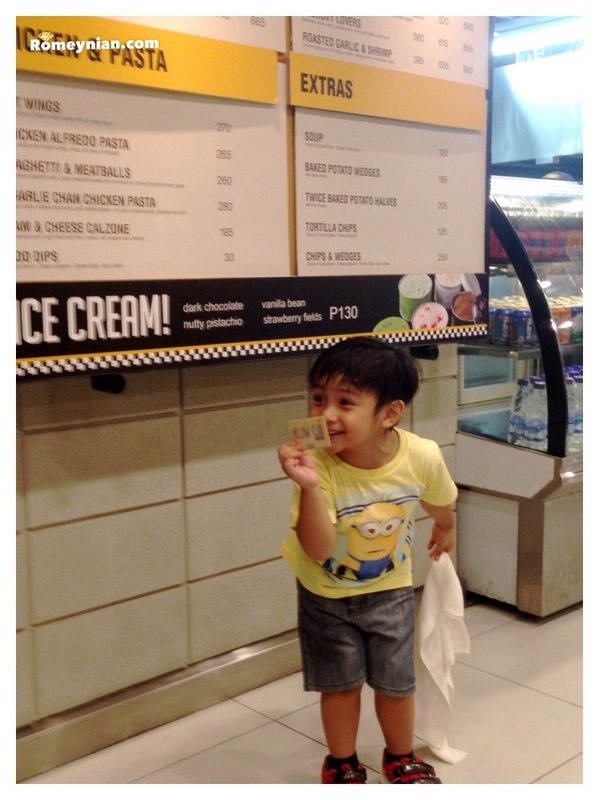 This is Gab flaunting the Yellow Club Card! Thank you Yellow Cab for making Mother’s Day a special day!